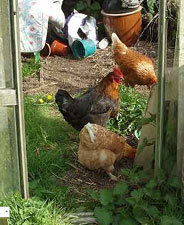 Welcome to this new free service for Chicken and Other Poultry Breeders in the UK. Listings are open to Breeders based in England, Wales, Scotland and Northern Ireland. Being a new Category to Down the Lane in September 2012. it may take a little time to get going but even so, should you have a Website, the listing will give you a valuable link. 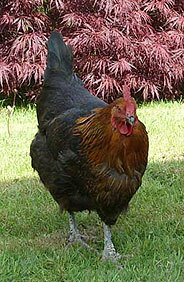 We are a well established Company who have been breeding Poultry Stock since 2004. Please telephone for best times to come and visit us etc. etc. We also deal in Hatching Eggs and have Incubator Equipment in stock. The listing is solely for Companies, Business's or Hobbyists dealing in Poultry Livestock and not for advertising Chicken Housing or other Chicken Keeping Equipment and Products. However, should you deal with Hatching Eggs, you may mention you sell relevant equipment for hatching purposes. Listing of Breeders is at the discretion of Down the Lane and could be edited accordingly. Please check your listing now and again and contact me should you have any enquiries or change of circumstance. The listing is completely free. I look forward to receiving your submit form and hope this service will be of some reward to you. Only the 'I agree' and 'Don't agree are obligatory, you do not need to fill out every question. Richard Cannon, Website Owner 1st.September 2012.